By inquiring and or purchasing a rabbit or cavy from Fuzzibutt's Rabbitry & Caviary you are agreeing to our Terms of Sale listed below. This sales page is kept accurate and up to date. If you do not see what you are looking for, please simply check back periodically. Fuzzibutt's Rabbits and Cavies are sold on a very limited, first come, first serve basis. We no longer have a Wait List. In the meantime, feel free to email us about what you may be looking for. Please email us to see what we may be able to part with. Since we do not usually sell our rabbits and cavies, when we do offer them for sale...they go fast. We might be willing to sell cavies or rabbits not listed "For Sale.” E-mail us to inquire. Please note we breed for ourselves first, occasionally we offer rabbits or cavies to others. This can include brood, fiber, pet or show stock. We are very selective in who we sell to. Please Note: Fuzzibutt's Rabbitry & Caviary is a Closed Rabbitry & Caviary. Visitors are NOT allowed to view our facility under any circumstances – Our cavies’ and rabbits' health and safety comes first. For this reason, a mutually agreed-upon location, or reputable transport must be organized for pick-up. The preferred method of payment is PayPal, when using PayPal please use the "Friends & Family Option." In the comment section please state which animal, (description) and that you agree to the Terms of Sale. My PayPal address is the same email address that is listed on this website. We require a non-refundable deposit of 50% on any cavy or rabbit you desire to purchase unless other arrangements have been made. The balance will be due at the time of pick-up. If you are paying via PayPal, please add an additional 4% to the total of your rabbit or cavy. Deposits are a measure of good faith that you, the Buyer, intend to purchase a rabbit or cavy. If for any reason, the Buyer is unable to meet their end of the purchase of this given rabbit or cavy, the seller, Fuzzibutt’s Rabbitry, will retain 100% of the deposit monies. Fuzzibutt’s Rabbitry & Caviary has the right to back out of a sale at any time. Should we cancel the sale of the rabbit or cavy; the money paid will be refunded. If you, the buyer, decided to back out of a sale, all money received will be non-refundable. We are always glad to help our fellow youth get started off on the right foot. However, if you are purchasing a rabbit or cavy from us, please be advised we need to have your parent’s permission first. Two ways, a written note, or a telephone call (between your parent and me) can accomplish this. Cavy's will not sold before 6 weeks of age. Rabbits will not sold before twelve weeks of age (12) as a pet or sixteen (16) weeks as a show prospect NO exceptions! All of our rabbits and cavy's will be healthy to the best of our knowledge at the time of sale. A complete health inspection will be encouraged by the seller [Fuzzibutt’s Rabbitry & Caviary] at the time of exchange. We will not sell any rabbit or cavy showing outward signs of infection, or any other visible illness. Please note all of our rabbits have been vaccinated with the BunnyVac Vaccine for the Prevention of Pasteurella. We take pride in our healthy herd. You as the buyer may choose to continue with the yearly vaccination. But please understand ALL our rabbits have already been vaccinated! For more information, feel free to look at http://bunnyvac.com/ All of our rabbits and cavies are on Revolution, Ivermectin and or Advantage as a anti-parasite preventative for mites, fleas, etc. (since we show so much). We routinely worm our herds. We are currently feeding our cavies Blue Seal Furry Friends Guinea Pig pellets with additional daily supplement of Vitamin C Crystals. Our rabbits are currently offered Blue Seal Show Hutch Deluxe. These feed is currently working for our herds. Mixed with Horse Sweet Feed, Rolled Oats, as well as apples, parsley, cucumbers and Whole Wheat Bread a few times a week. All of our brood stock is supplemented with Oxy-gen in addition to Dr. Cheeke's YQ+ Supplement pellets daily . Our show stock is supplemented with CircQlate in addition to Dr. Cheeke's YQ+ pellets daily. We utilized the Immunize paste and pellets as needed. Vitamin C Crystals are provided to all of our cavies daily in there water bottles and emptied out the next day with fresh water. We NEVER breed animals that show any signs of malocclusion. We DO NOT guarantee against an animal that throws its teeth out from chewing on its cage. It is natural for rabbits and cavies to chew. Please give your rabbit and cavy something to chew on! Fertility is NOT guaranteed, as there are too many variables involved. This includes care, temperature, housing conditions, stress, etc. Please understand that every purchase is a potential gamble on Fertility. If a senior rabbit or cavy is not proven, it will be fully disclosed before the sale. 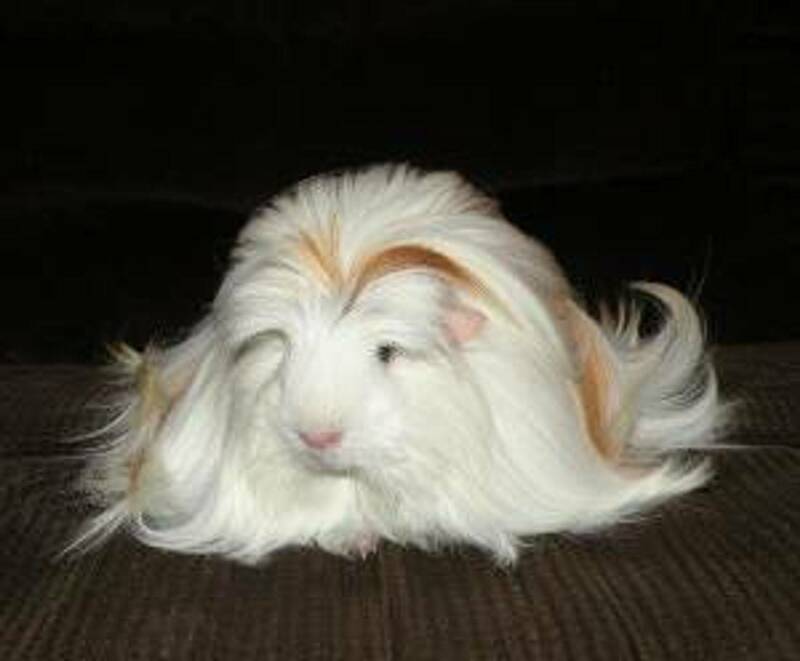 Occasionally, we may sell bred cavies to other breeders to help them get started in the fancy please inquire. Occasionally, I may part with a rabbit that would benefit someone’s lines. Feel free to ask, if you think we have something you are looking for. Please do not be offended if we decline the sale of a rabbit. I have quite a few brood quality cavies’ that will be for sale now and then. These cavies’ have contributed significantly to my breeding program, so don’t rule them out. They may still be show prospects. “Brood Quality” means that the cavies have strengths that could help in a breeding program. These cavies will come with a pedigree (if the cavy has a pedigree one will be provided). Along with registration, grand champion certificates, show records, and legs if they have them. All of our brood stock is supplemented with Oxy-gen pellets daily in addition to Dr. Cheeke's YQ+ Supplement pellets. Often times my best pet rabbit and cavy's are those who are being retired from breeding and showing. Other times I do have rabbits and cavies that have disqualifications. Any of our rabbits and cavy's listed for sale, can be sold as a pet. Our Pet rabbit and cavy's are not sold with a pedigree, nor are they to be bred. Any rabbit or cavy that I would have no qualms about putting on a show table. This means that the rabbit or cavy has no disqualifications and several strength is that would make the rabbit or cavy competitive. Winning or placing is not guaranteed. Show Prospects will still have some faults to some degree. Cavies may come with full or partial pedigree. Rabbits will come with full and complete pedigrees. Along with registration, grand champion certificates, show records, and legs if they have them. Our show stock is supplemented with CircQlate pellets daily. Our show stock is kept in 36X24 cages with plenty of room to move with their large show coats. Our brood (clipped down) resided in 24X24 cages and or 30X30 cages. Our show stock is kept in separate solid bottom cages on horse stall pellets from Tractor Supply. Our brood stock is kept in 24X24 separate solid bottom cages and are kept on saw dust. Transport options: Please note when you inquire about a rabbit…it is your responsibility to look into transport. There are multiple groups on Facebook that offer cross country or local transport.